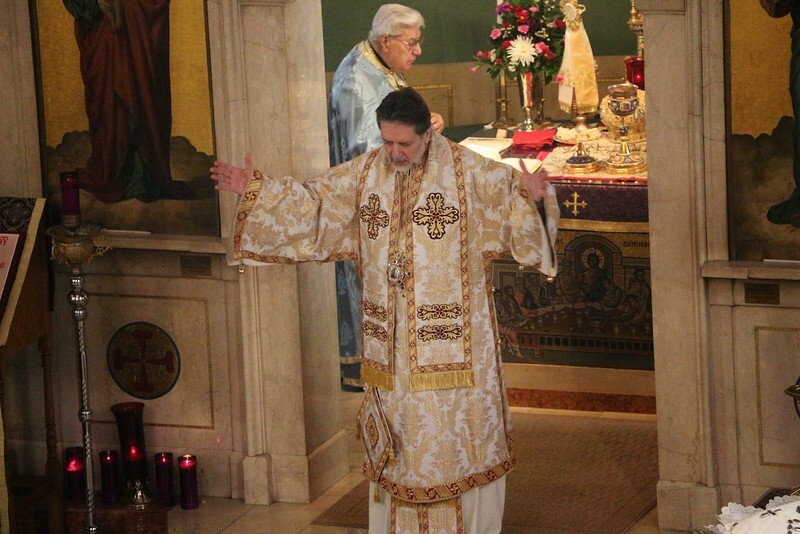 On Sunday March 16, 2014, His Eminence Metropolitan Nicholas celebrated the Hierarchical Divine Liturgy at the Holy Trinity Cathedral in Toledo, OH. On this day, His Eminence and the Toledo community bade farewell to Fr. Aristotle Damaskos (Proistamenos) who will be reassigned to another parish of the Archdiocese. Also serving were: Fr. Chris Hadgigeorge and Dcn. Alex Radulescu. Following the Liturgy, the community offered a luncheon in honor of Fr. Damaskos and his family.